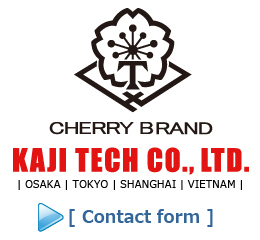 Semi-Automatic Machine | KAJI TECH CO., LTD.
KAJI TECH CO., LTD. | Semi-automatic machine | Original punch stroke mechanism makes a difference in functional efficiency four quick and easy operation. ※The minimum sale quantity is 1 machine. Designated for standard plastic snaps only. The double stroke allows for accurate and innovative safety of installation. No caulking adjustment is necessary at all. Copyright (C) 2019 KAJI TECH CO., LTD. All Rights Reserved.